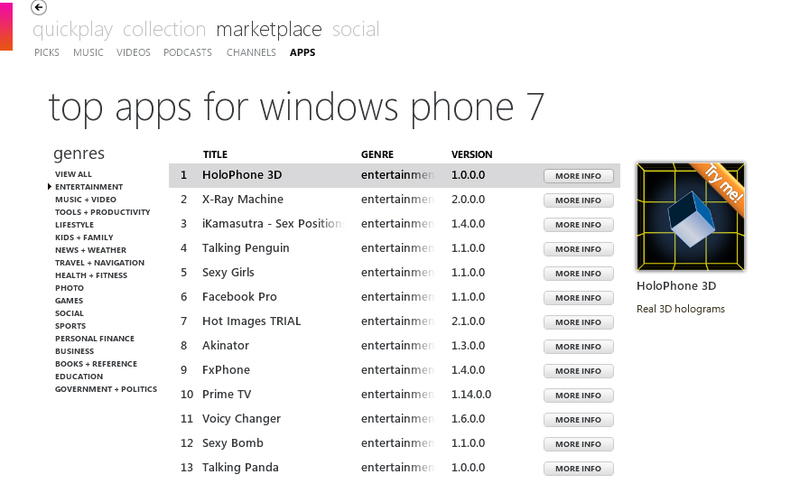 I’m excited to announce that HoloPhone3D is now a #1 top Entertainment app in 11 markets worldwide. In addition to top downloads globally, HoloPhone3D has been receiving consistently high review scores across the board! for all ages. It’s like having a HoloDeck in your pocket. Update : Now available in all 35 worldwide marketplaces! Try it today for free and see what all the excitement is about! Experience the new HoloPhone 3D teaser trailer! Future updates will include new holograms and mini games.